Stacy Abrams Invited To Speak At Juneteenth In Wells Park! 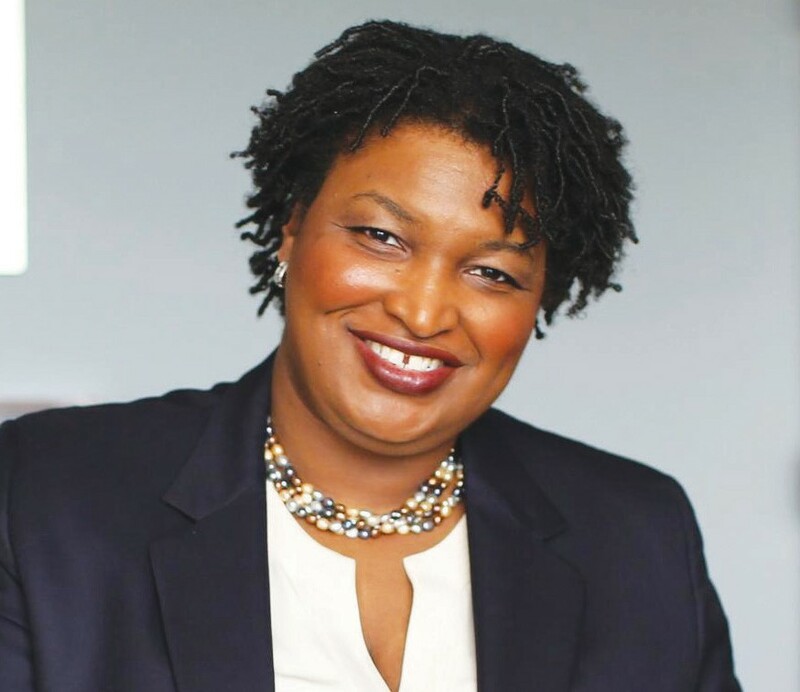 The Daughters of Mary Magdalene have invited the Democratic Nominee for Governor Stacy Abrams to speak at the Historical Juneteenth Festival on Saturday, June 16. The Honors Program will begin at 11am at Wells Park (38th St. & Montgomery St.). The history of Juneteenth and Ms. Abrams winning the Democratic Nominee is interrelated. Prior to the independence of our Black enslaved people, people like Frederick Douglass, Harriet Tubman, Sojourner Truth and many more strong Black people fought to get legislation passed for our complete freedom. Once we were freed on June 19th, 1865, they continued to fight for Black political power in Congress! As a result of the struggle and courage of our enslaved ancestors, Black people; such as, Hiram Revels: first African American to join the Senate, P.B.S. Pinchback: first Black Governor in the U.S. where able to gain powerful positions in Congress. One hundred and fifty three years later, Stacy Adam’s vision is the same as our Juneteenth ancestors. They were determined to gain equality, freedom and justice for all people. In addition, they where determined to prove that in spite of slavery and unfair treatment, they were going to keep on pushing until they saw the light of freedom. Stacy Abrams was passed the torch from the ones that walked by the flame of vision which burnt determination and courage into her bones. As a result of our Black ancestors paving the way, Abrams was able to become the first Black female in the nation to be elected by a major party. If she wins the Governor’s race and I feel she would, she would become the first Black female Governor in the U.S. Please come out and share the Independence Day of Black Americans. For further information, please call Ms. Jackson at 912-412-4851, Mr. Cohen at 912-428-3335 or Mr. Simpson at 912-428-5169. The Food, Entertainment & Juneteenth101 is free! !